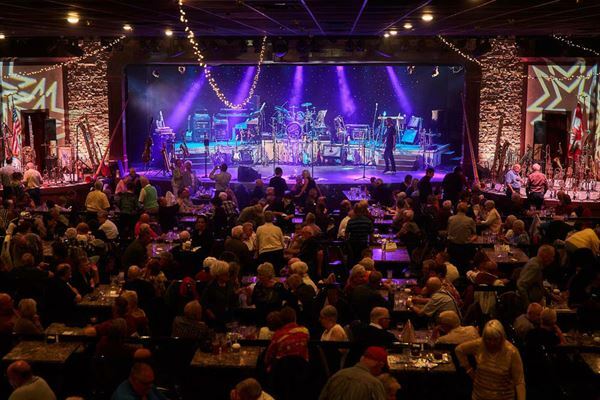 The Silver Star Theater is the Phoenix area’s premier dinner & show venue. It is a multi-million dollar facility that rivals its Las Vegas counterparts. The custom designed showroom features tiered seating with unobstructed views. The professional stage is augmented with state of the art sound and lights. You can refresh yourself with a cocktail in our spacious lobby bar prior to being seated for dinner and there is ample parking for cars and buses alike. All this combines to give our audiences an unequaled entertainment experience. Smaller Banquet Room able to accommodate 200.